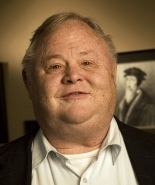 Dr. John Frame serves as J.D. Trimble Chair of Systematic Theology and Philosophy at Reformed Theological Seminary, Orlando. If you have benefited from these materials, we would encourage you to consider making a donation, which will help cover expenses for computer and recording equipment, website and publishing fees, and study resources, and will make it possible for more material to be added to our site.